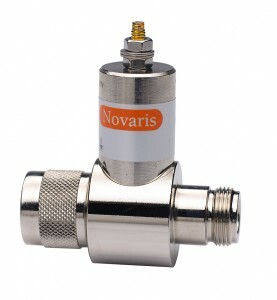 Novaris tuned stub surge protectors employ quarter-wavelength short circuit stub technology. Suitable for narrow bandwidth application where no DC voltage is injected. RF power and surge rating are limited by the cables and connectors only.